World governments have been slowly fighting against cash for years, but now a major assault is coming from the private sector too. Visa just announced a new program that essentially bribes retailers to phase out non-electronic transactions, and the company’s executives are sending out war cries against cash. What does this mean for the future of physical currency? You can probably guess why Visa has such a vendetta against cash: It hurts their bottom line. Every time a transaction takes place with cash, Visa is losing potential revenue. Therein lies the incentive for the company to wage war against cash. Plus, it’s far easier for Visa to increase its profitability by fighting cash and increasing card usage than by winning new customers from rival card companies. 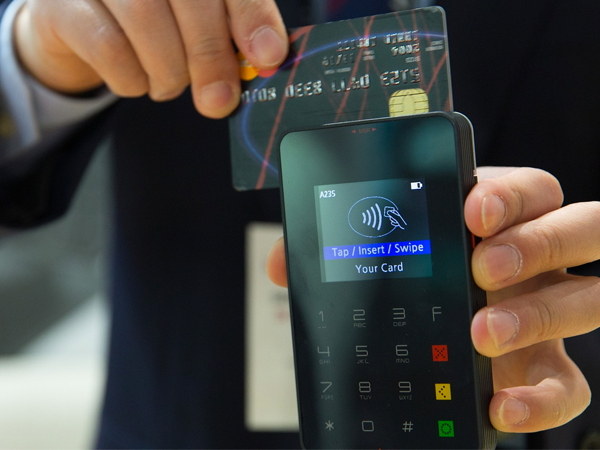 And according to the company’s executives, cash is particularly vulnerable to such an agenda in the U.S.
Consumers are warming to the idea of cashless transactions, but resistance from the general public isn’t Visa’s biggest problem. Compliance from businesses is the real hurdle. Obviously, businesses are motivated to accept as many payment types as possible to accommodate customers and make it easy for people to buy. But now Visa is offering a bribe for small businesses in order to make the proposition of running a cashless operation more attractive. What could soothe small businesses’ pain of giving up potential profit by banning cash transactions? Maybe a little bit of the “green poultice”. That’s why Visa is offering $10,000 each to 50 small businesses who vow to abandon cash transactions permanently. Presumably, these businesses will collect the cash, see all the wonderful benefits Visa claims a cashless business can experience, and serve as poster children that will encourage other businesses to do the same. Visa is also about to publish a heavily slanted report extolling the operational advantages of running a cashless business. From the report’s teaser claims, New York businesses could be saving approximately $6.8 billion annually by dropping cash entirely. Keep in mind, this is Visa’s first attempt to force a new trend away from cash with monetary incentives. There’s nothing stopping the company from doing this again, or on a much larger scale. Plus, other private companies who share Visa’s interests could do the same. Visa isn’t swimming against the tide when it comes to their efforts to kill off cash. Instead, they’re riding a massive wave that’s set to continue rolling in their favor. According to a Gallup poll from 2016, cash use among Americans is already declining steadily. At the time of the poll, Americans were using 12% less cash than five years prior. The simple truth is that consumers are moving away from cash voluntarily. But add to that the pressure against cash from world governments, plus this new assault from the private sector in the form of Visa’s new initiative, and it’s easy to see the future doesn’t bode well for those of us who prefer to deal in physical currency. So where does that leave you? You know the risks of going cashless, being separated from your money by the vast abyss of cyberspace. You might be a millionaire. But in a major crisis, cashless millionaires could be left without a cent — all it would take is an institutional collapse, infrastructure failure, act of cyber warfare, severe terrorist attack, or any number of easily possible scenarios. But that isn’t the case with physical precious metal ownership. Even if your metals are held in a depository, your ownership is always verifiable by paper hardcopy records, and you can visit or withdraw them whenever you please. That kind of “real money” security could soon become priceless if Visa and its fellow cashless crusaders get their way. And as this war on cash continues, you can count on precious metals growing more valuable and scarce, simply because people like you want to opt out of the coming cashless society while they still can.